Honesty has a simple definition; the act of being honest. But what does being honest mean? 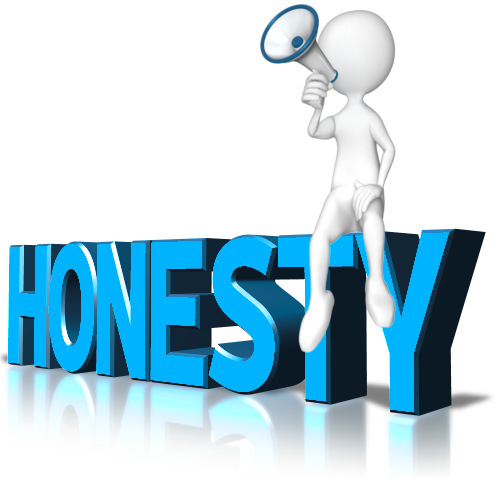 Honesty is a part of several facets that makes one's moral character, such as, having integrity, being dependable, and showing a high set of principles. These principles and traits are learned at a young age and continue to develop throughout our lives. It was once said that honesty is appreciated, respect is earned, trust is gained, loyalty is returned. How true that is in today’s business world. Honesty in a company is as valuable as honesty in a person. It is important to be able to have trust and respect in a company that you deal with. It creates a positive atmosphere for all. At Oak Motors, Honesty is our first value and it is extremely important to our success. There have been many great quotes in history regarding honesty that have stood the test of time; such as Ben Franklin’s “Honesty is the best policy.” and Albert Einstein’s “Whoever is careless with the truth in small matters cannot be trusted with the important matters.” We still use these today because they are true, simple, and they work. Honesty at Oak Motors is the quality, condition and characteristic of being fair, truthful and morally upright. It involves telling the truth at all times, even if it doesn’t benefit you.